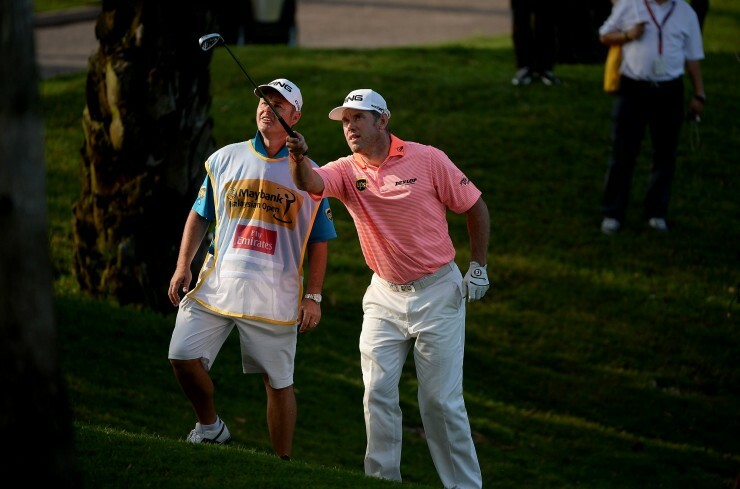 Kuala Lumpur, February 6: Title holder Lee Westwood stayed firmly in control at the halfway stage of the US$3 million Maybank Malaysian Open on Friday as Alejandro Cañizares joined him atop the leaderboard. The 41-year-old Englishman, bidding to become only the second player to win the event three times, posted a five-under-par 67 for a two-day score of 11-under-par 133 which was matched by Spaniard Cañizares, who charged into contention with a brilliant 65 at the Kuala Lumpur Golf and Country Club’s West course. Austrian Bernd Wiesberger of Austria, who secured three consecutive top-six finishes in the Middle East swing, carded a 66 to lie in third position, three back at the championship sanctioned by the Asian Tour and European Tour. Irishman Peter Lawrie, playing on a sponsor’s invitation, shot a 66 to share third place with England’s Paul Waring (68), while it was a day to forget for co-overnight leader Graeme McDowell, who signed for a 73 to slip six shots off the leading duo. Thai star Prom Meesawat and former Asian Tour number one Juvic Pagunsan of the Philippines emerged as the leading Asians in tied ninth position after rounds of 72 and 69 respectively for a 140 total. A closing birdie from 18 feet put Westwood three clear but Cañizares produced some glorious golf, birdieing three of his last four holes to tie for the lead. Westwood, who won wire-to-wire last season and jointly led after yesterday’s opening round, said: “I played nicely again. I probably only hit one poor shot all day, from the middle of the fairway on the fifth hole. I was going in with a five iron and blocked it right into the water. I was trying not to pull it left and just slid into it a little bit and ended up making six when I should have made four. 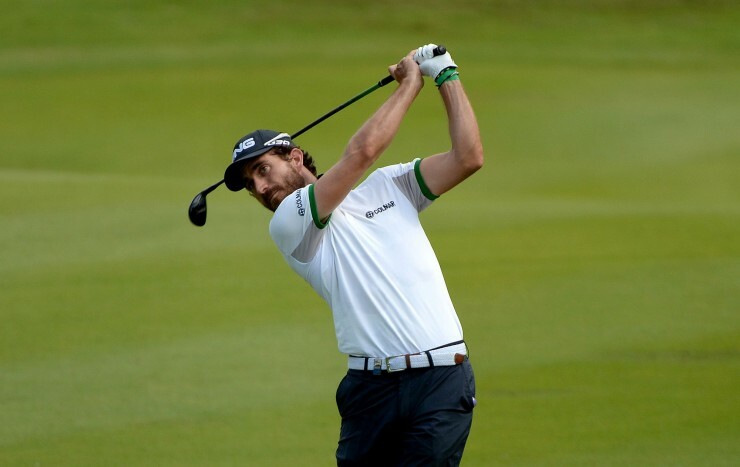 Cañizares, a two-time European Tour winner, wielded a hot putter where he needed only 25 putts in his round of seven birdies. “It was tough to keep your concentration because of the weather, but luckily some clouds came over and it wasn’t as hot as it is when the sun is on you. The course is playing nicely and the greens are rolling very well,” said Cañizares. Starting from the 10th tee, Wiesberger, ranked 48th in the world, charged into contention when he holed a tricky putt on the sixth hole before closing with two birdies. “I finished really well. I holed a long curling putt on the sixth, which was my 15th, and I hit it really close on the last two. I felt comfortable out there and it was much better today. I wasn’t at my best yesterday. Mentally I was a bit tired and not in the zone like I’ve been the past few weeks,” said Wiesberger. “But today felt good again. I’m trying not to think too much about it; just let it happen. Sometimes you get in a groove and play well and things happen for you, and I just hope it lasts a long time,” he added. Burly Prom, who has three top-10s on the West course, overcame a double bogey on two with birdies on eight and 16 as he stayed on the fringe of contention. “I played good. This course is tough and I tried to stay patient. I hit a lot of good shots but I struggled with the speed of the greens,” said the double Asian Tour winner. The burly Thai arrived in the Malaysian capital with his game not in tip-top shape following a recent back injury but a tip from compatriot Namchok Thantipokhakul has enabled him to find his rhythm. “I’m still finding for my swing. I’m trying to get it back and get more confidence. I’m striking the ball better. I gained a bit of distance after receiving advice from Namchok. He told me to hit more balls at the driving range to get my tempo back. So I went to the driving range on Wednesday and started hitting a lot of golf balls and it worked,” said Prom. The halfway cut was set at 146 with five Malaysians – Danny Chia (141), amateur Gavin Green (142), Nicholas Fung (142), Sukree Othman (143) and R. Nachimuthu (145) – all qualifying for the final two rounds. 133 – Lee WESTWOOD (ENG) 66-67, Alejandro CANIZARES (ESP) 68-65. 136 – Bernd WIESBERGER (AUT) 70-66. 137 – Paul WARING (ENG) 69-68, Peter LAWRIE (IRL) 71-66. 138 – Richard BLAND (ENG) 68-70, Richard T. LEE (CAN) 69-69. 139 – Graeme MCDOWELL (NIR) 66-73. 140 – Prom MEESAWAT (THA) 68-72, Alvaro QUIROS (ESP) 70-70, Juvic PAGUNSAN (PHI) 71-69, Andy SULLIVAN (ENG) 70-70, Gregory BOURDY (FRA) 70-70, Jake HIGGINBOTTOM (AUS) 69-71, Robert ROCK (ENG) 70-70. 141 – Marcus FRASER (AUS) 72-69, Marc WARREN (SCO) 70-71, KANG Sung-hoon (KOR) 67-74, Danny CHIA (MAS) 67-74, Paul PETERSON (USA) 72-69. 142 – Pablo LARRAZABAL (ESP) 73-69, Hennie OTTO (RSA) 73-69, Andrew DODT (AUS) 69-73, Anirban LAHIRI (IND) 70-72, Gavin GREEN (am, MAS) 74-68, Nicholas FUNG (MAS) 71-71, Morten Orum MADSEN (DEN) 72-70, Wade ORMSBY (AUS) 73-69.